I've been reading these at a bit of a snail's pace or at least trying to in order to make them last until a new season is announced, but it isn't easy. Things just keep getting better and better. More and more the need for a re-read in impressed upon me. Not only because of how long I've been taking between issues, but also because I want to see the subtle clues and hints that I probably overlooked before. I'm sure there were a lot of them. Volume nine introduced another bizarre titan, the Beast Titan. Volume ten is not to be outdone in that respect. Here we have yet another titan introduced to us, but this one is perhaps even more of a mystery. 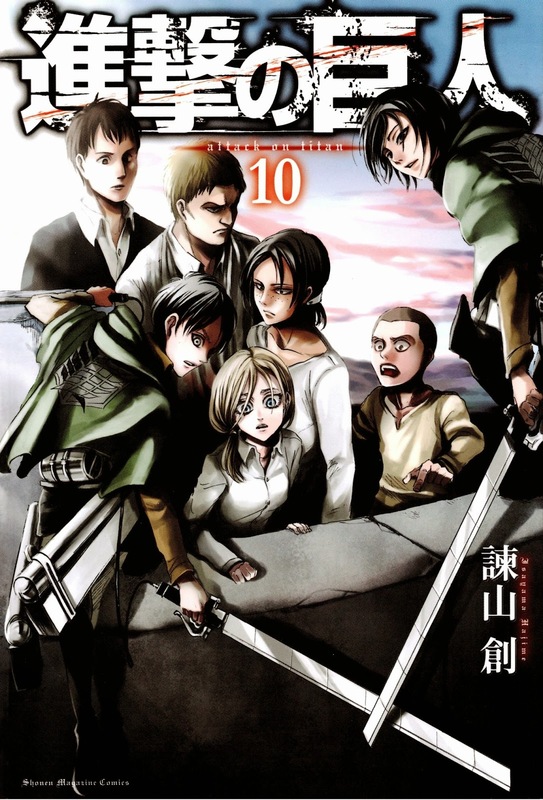 Ymir, a character more heavily featured during the last issue, is revealed to have titan powers. While her form isn't quite as impressive as Eren's or even Annie's, it is nonetheless a titan form and that in and of itself is a fairly shocking revelation. She isn't the Beast Titan, though. 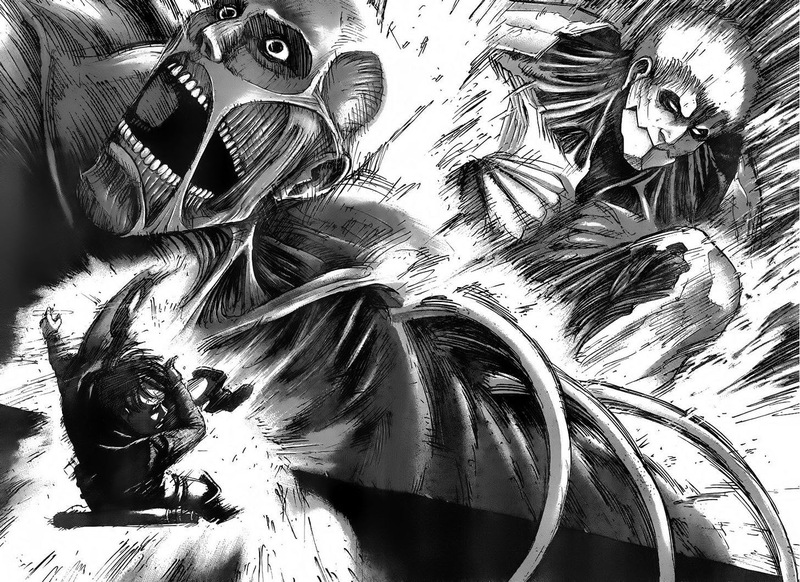 With the Beast Titan leading an assault against Castle Utgard where the 104th is taking refuge, Ymir uses her titan power to save everyone including Krista Lenz. Krista is also another enigma in this volume and there's a lot I could on about with her, but for the most part it is speculation right now. I don't wish to Google and spoil things for myself, either. Speaking of mysteries, this volume will finally resolve the mystery of who the Colossus and Armored Titans really are. I'm sure some folks might have guessed who they are by now at this point in the series, but if you did then you either re-read this series a few times and took some wild guesses or you can read Hajime's mind. Now that I know who they are I could easily say, "Yeah, I knew the entire time" but that would be horse hockey. I had no clue who they were at all. You probably didn't, either. When they first confronted Eren and began telling him who they were I thought it was some kind of "put yourself in your enemy's shoes" kind of thing. Like they were trying to come up with a strategy by pretending they were the titans and trying to say what their motivations really were. Or it might've been a bad joke or something. Wow. Just wow. I didn't expect Reiner Braun and Bertolt Hoover to be the Armored and Colossus Titans, respectively. After discovering that near the end of this volume I went back read this volume again. I stayed up until about four in the morning reading it again (considering I made it home from work at two that's not as bad as it sounds) just to see if there's anything I overlooked. Now I kind of want to go back a read the series again. Amazing volume. Can't wait to continue. And this time I don't think I can wait a few months to finish the next volume.